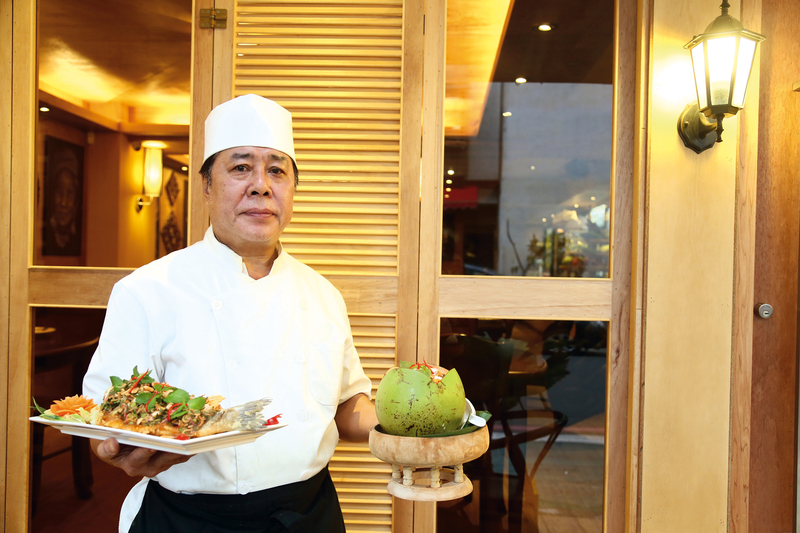 Thai cuisine has been spicing up Taiwan’s restaurant industry since 1990. In a powerful testament to local restaurant-goers’ fondness for Thai food, the Thai Trade Center in Taipei says there are currently more than 2000 Thai restaurants operating in Taiwan. But not every chef can master the nuances of the cuisine. Many people believe that only Thais can cook Thai dishes properly, so restaurants advertising authentic Thai food often hire Thai chefs to prepare it. Since writing about food without actually tasting it is a waste of ink, we personally sampled the offerings from several of Taiwan’s Thai restaurants for this feature. Born in 1975 in northern Thailand’s Surin Province, chef Sudsaidee Phonlaphat is better known as “Chef Ah-Ming” in Taiwan, where he has worked for many years. In fact, he has been the executive chef for Sukhothai, the Thai restaurant in the Sheraton Grand Taipei Hotel, since 2013. Chef Ah-Ming left home at the age of 13 to work and study in Bangkok. He spent his early years there working part-time at a series of restaurants, picking up all the techniques used in those kitchens in about 18 months. He recalls going to work two hours early every day to complete his own tasks before anyone else got there. He could then use his actual shift to go from station to station in the kitchen, helping others and learning. Having spent his youth working in a variety of restaurants, Chef Ah-Ming was hired by the Bangkok Sheraton at age 21, promoted to chef at 25, then recruited to work in Taiwan at 26. When he was 30, he became the Sheraton Grand Hotel Taipei’s youngest chef, and went on to open his own restaurant with his friend Preecha Rumdubsee in 2010. That restaurant, Siam Kitchen, now has a second location. Chef Ah-Ming keeps his Thai dishes very true to the originals they are based on, adjusting only the levels of spiciness and fattiness to better suit Taiwanese palates. For example, authentic Massaman curry is made by simmering peanuts in coconut milk until they release their fat. The technique gives the dish an intense and sweetish flavor, but also results in a layer of oil at the top. For the version Chef Ah-Ming serves in Taiwan, he shortens the cooking time and adds pumpkin. 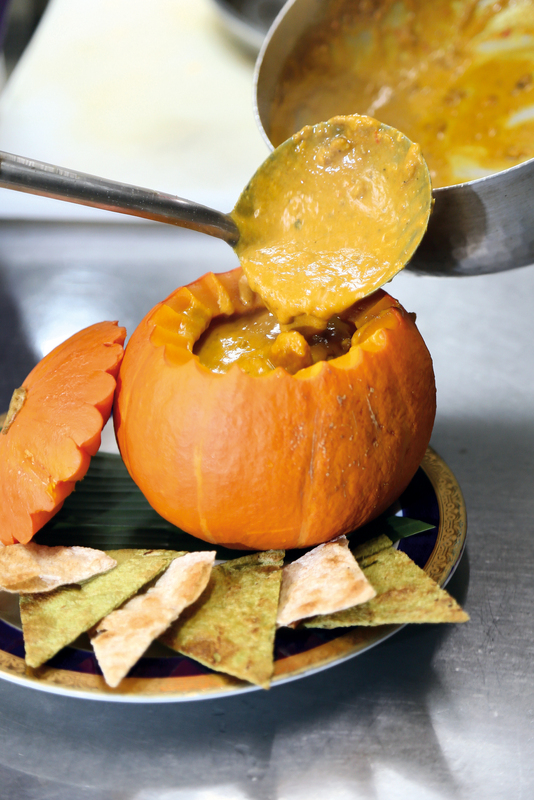 His blending of the intensity of curry with the sweetness of the pumpkin has given rise to one of his restaurant’s signature dishes: Pumpkin Curry. Similarly, chefs in Thailand serve raw oysters with hot-and-sour sauce drizzled directly onto them. Recognizing that not everyone in Taiwan is comfortable eating raw oysters, Chef Ah-Ming created Hot-and-Sour Fried Oysters, which are lightly dusted in flour and then deep fried. His Taiwanese patrons find the dish more palatable, and it’s still delicious. 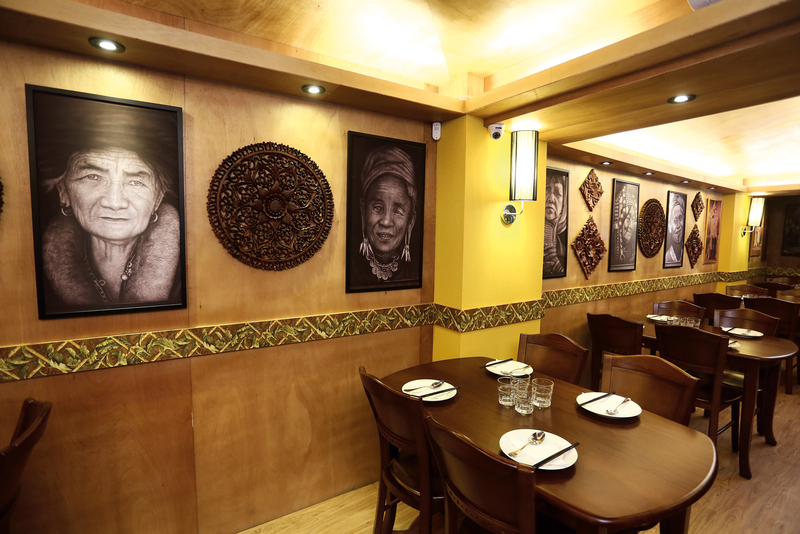 Thai Made is a Taipei restaurant specializing in authentic northern Thai village cuisine, with a name that makes plain its owner’s vision. The owner, Liu Shun’an, is a former interior designer whose passion for fine dining led him into the restaurant business. He was just 27 when he met Chef Ah-Qian (“Wichian”), a Thai chef from Chiang Mai with more than 30 years of experience, and made his first foray into the industry. Liu recalls that Chef Ah-Qian took an immediate liking to him, and agreed to partner up in spite of their age difference. Chef Ah-Qian’s skill in the kitchen, coupled with Liu’s design expertise, has helped reshape Taiwan’s Thai restaurants, turning them from back-alley holes-in-the-wall into fashionable, upscale eateries. 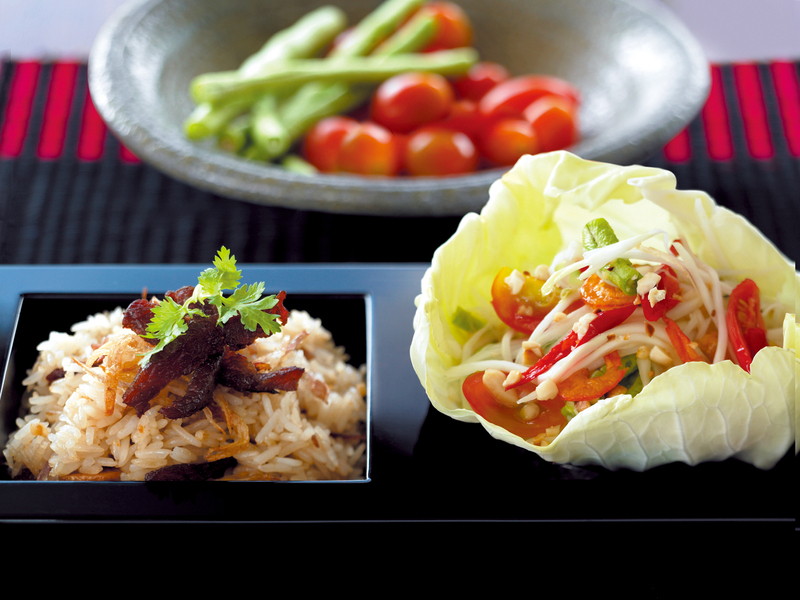 The two collaborated again in 2011 to bring the village cuisine of northern Thailand to Taipei’s restaurant scene. “Northern Thai is the real Thai cuisine,” says Liu. He and Chef Ah-Qian traveled to northern Thailand together prior to opening Thai Made. There, the chef used local ingredients to cook Liu northern-style dishes unknown in Taiwan, and convinced him to bring northern Thai food to Taiwan. 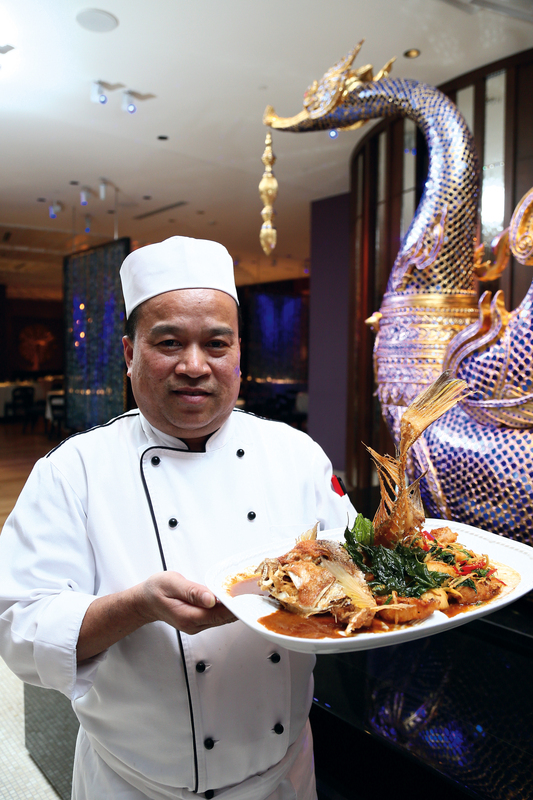 Chef Ah-Qian demonstrated the preparation of Crispy Hot-and-Sour Fish, which involves frying a Japanese sea bass, then drizzling it with a sauce made with lemongrass, lime leaves, cilantro, fish sauce, and lime juice. 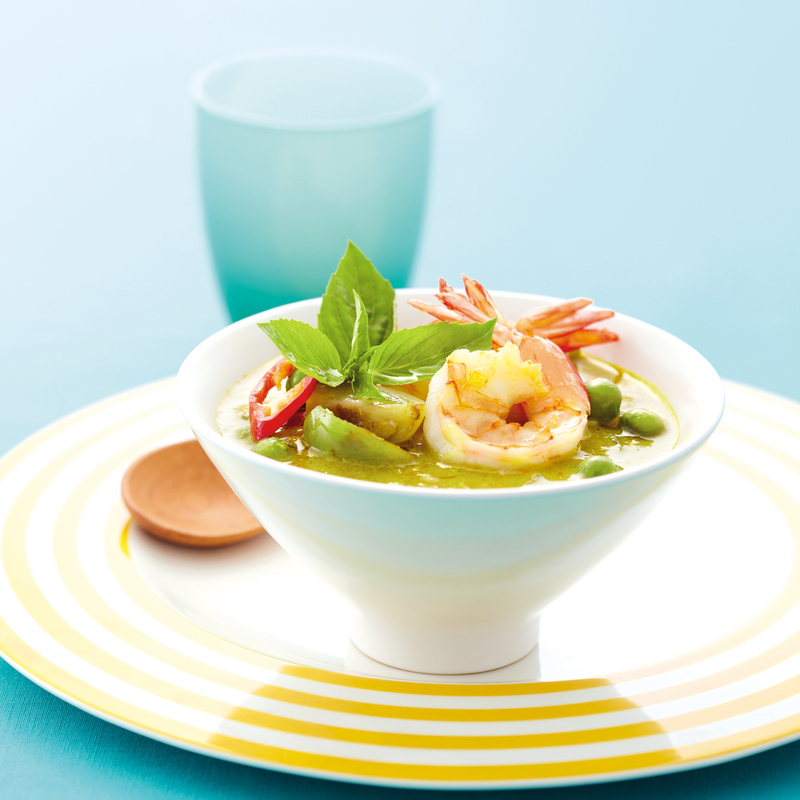 It provides a delicious example of the hot-and-sour flavors of northern Thailand. 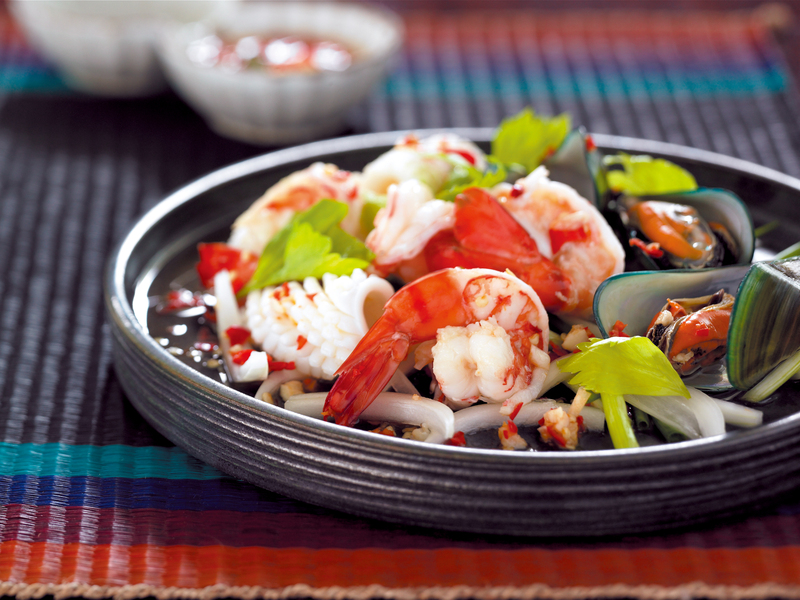 Seafood Steamed in Coconut features a mix of seafood that is first fried with coconut milk and beaten eggs, then ladled into a coconut shell. 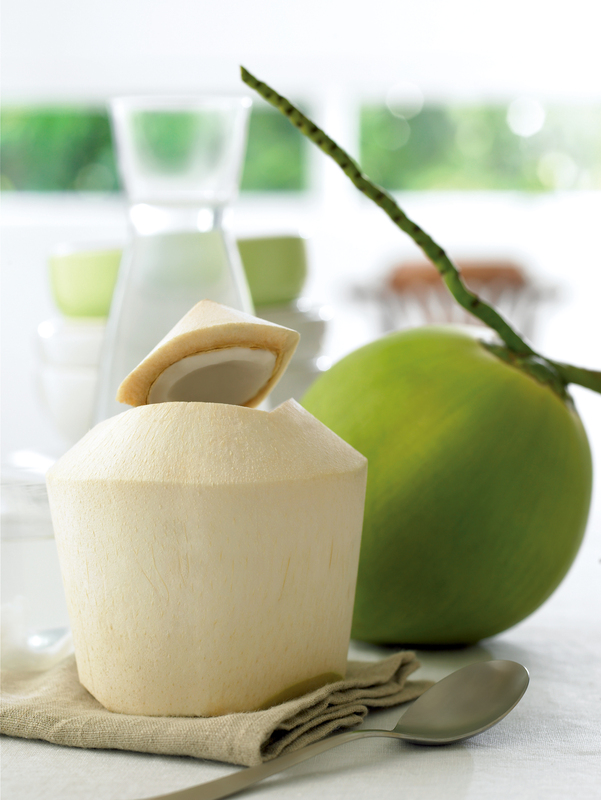 The fragrance of the coconut coupled with the intensity of the curry makes it an absolute delight. The restaurant is also the only one in Taiwan to offer Chilled Banana Flowers, a seasonal dish previously known only to connoisseurs of Thai street food. Thai & Thai, a restaurant serving Thai royal court cuisine that was regarded as Taiwan’s most authentic Thai restaurant, closed ten years ago when the Mandarina Crown Hotel underwent renovations. 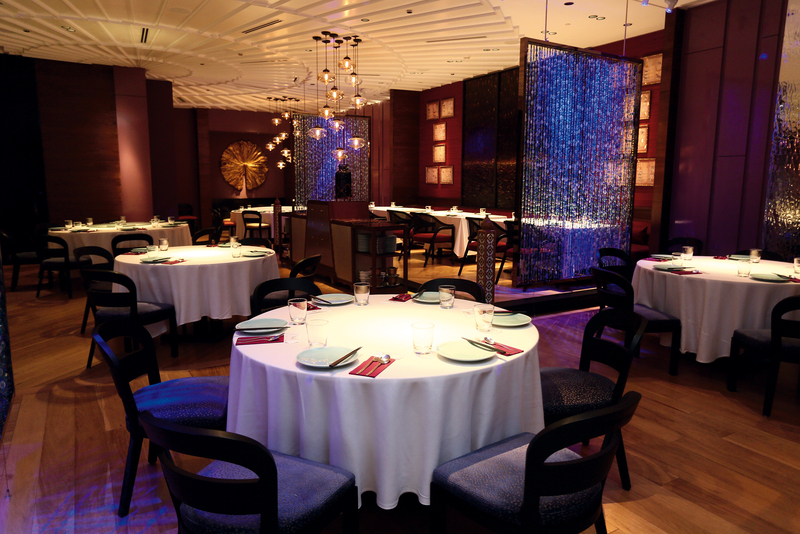 The restaurant reopened in the same hotel (now called the Mandarin Oriental Hotel, Taipei) in July 2015. 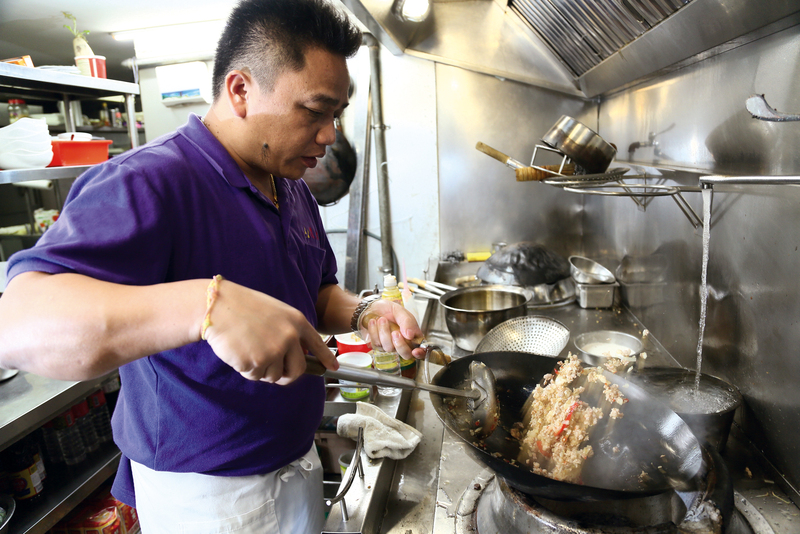 Lin Ming-chun, the restaurant’s financial backer, is an ethnically Chinese Thai who demands that the restaurant serve authentically Thai dishes. 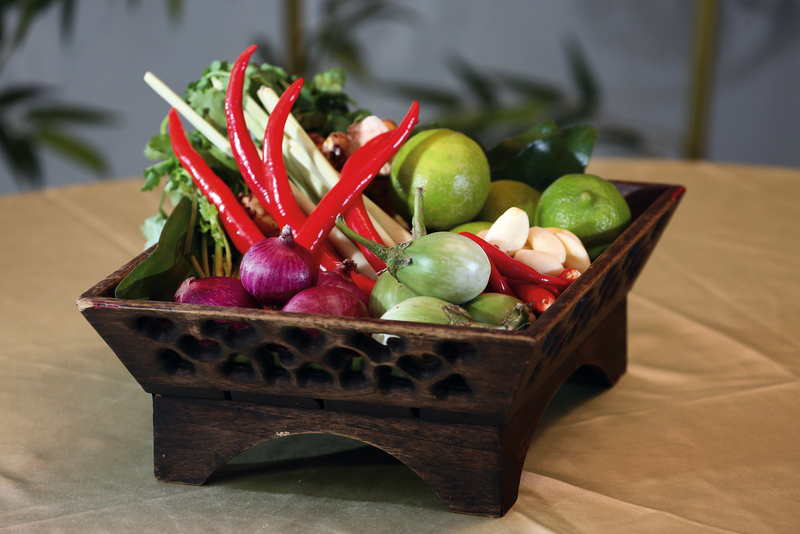 Thai & Thai imports all of its ingredients and seasonings from Thailand—even down to the palm sugar often used in cold dishes and curries—to ensure that it serves authentically Thai flavors. Thai & Thai’s menu offers the flavors of northern, central and southern Thailand, and its chef’s specials include dishes unavailable at other restaurants. 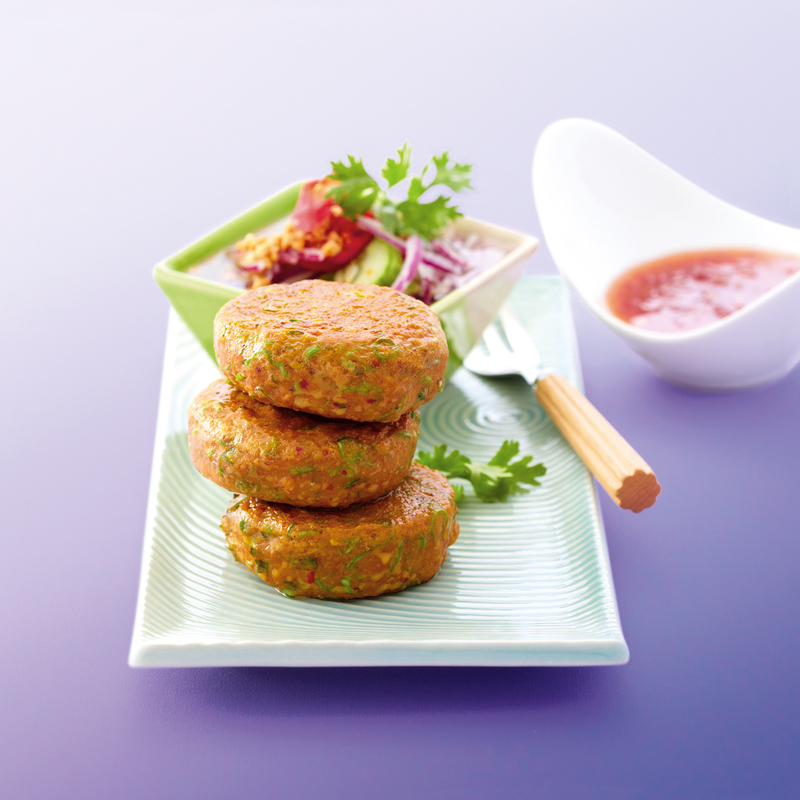 Assistant chef Prajuab Jermkhontod says that some of the dishes require many steps to make. 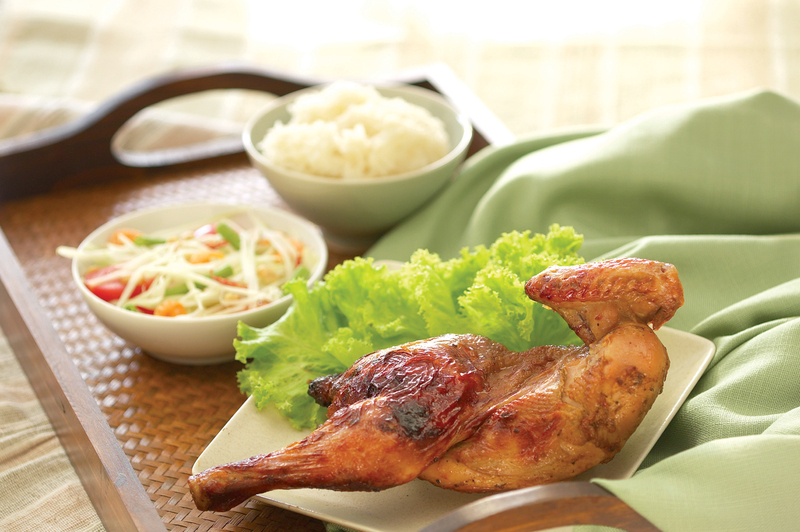 Pandan Chicken is a case in point. Its preparation involves marinating deboned leg meat, wrapping it in pandan leaves (which add an exotic flavor), steaming it, and then frying it. 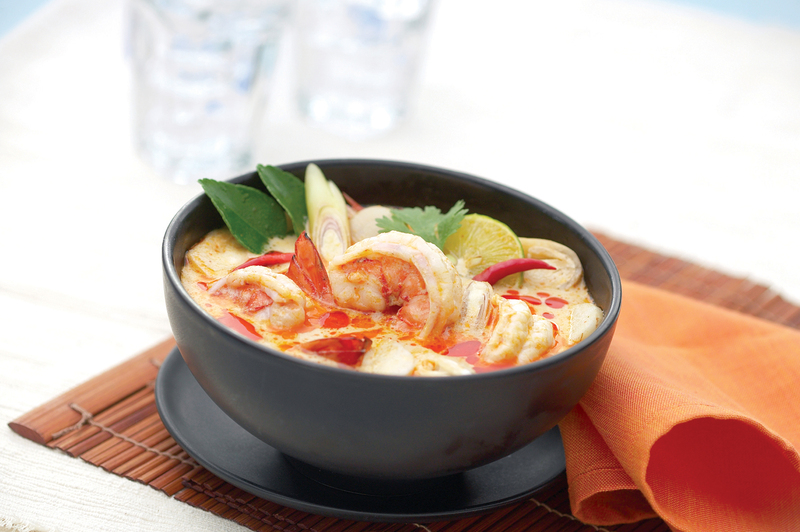 The restaurant’s Spicy and Sour Tiger Prawn Soup, a culinary gold medal winner in Thailand, combines fresh prawns with a hot-and-sour soup stock that patrons describe as heavenly. 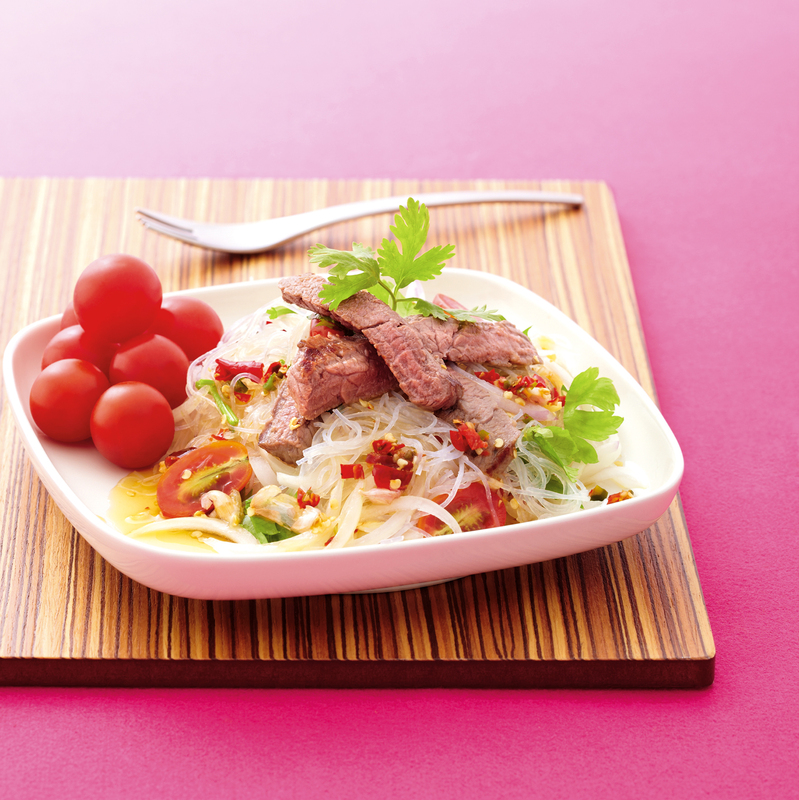 There’s a reason Thai food has become popular all over the world. Its simple ingredients and variety of seasonings present the taste buds with an exquisite, multi-layered feast. 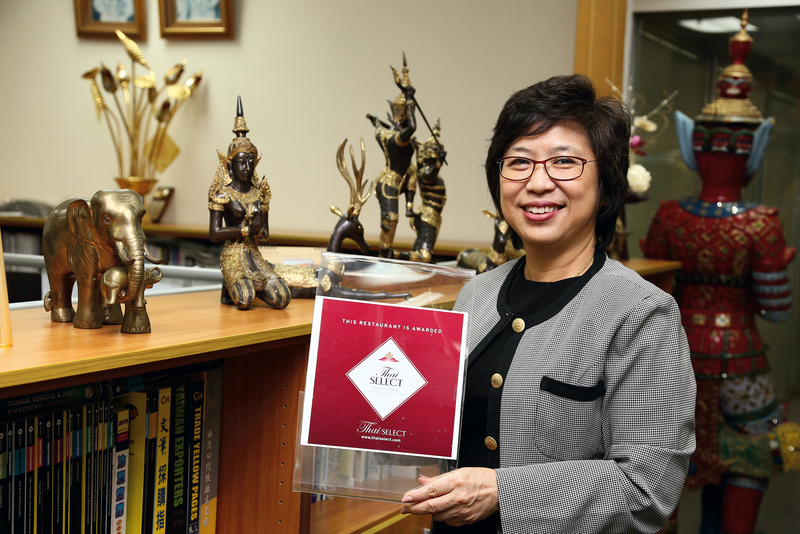 To ensure that people living outside of Thailand have the opportunity to enjoy authentic Thai food, the Thai government has introduced a certification program it calls “Thai Select.” Nannatee Wiboonchutikula, director of the Thai Trade Center in Taipei, says that restaurants seeking the certification are evaluated by Thai officials stationed in-country. These officials examine each restaurant’s menu, the flavor of its dishes, the sources of its ingredients, the quality of its chefs, its overall cleanliness, and even its decor before issuing a certificate. 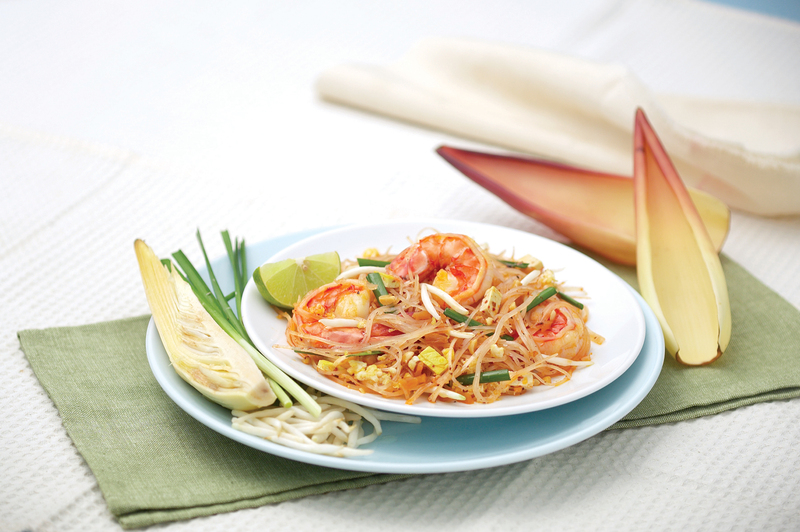 Next time you visit a Thai restaurant, check to see if it’s Thai Select!